Victoire de Castellane, Creative Director of Dior Haute Joaillerie, is known for her very wild and wacky pieces. But she surprised everyone last month when launching the new Dior jewelry collection. 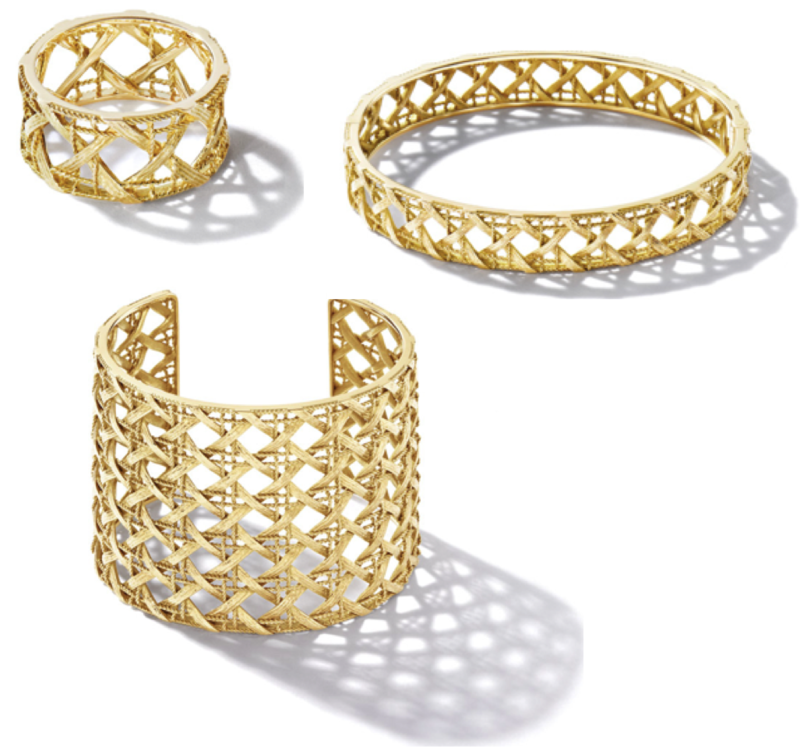 The My Dior collection, draws straight from the source, spinning Dior’s hallmark cannage, or caning, and textured threads of gold into rings and large cuff bracelets studded with diamonds and other colorful gems. This entry was posted in Fashion and tagged jewelry, My Dior, Victoire de Castellane by sofischoice. Bookmark the permalink.